My children are curious ones, often on tip-toe or climbing up onto kitchen stools, trying to figure out what I’m always doing in the kitchen. Sometimes they jump in and help: throwing on their little aprons and grabbing spatulas and whisks, and other times they are content with just peeking into bowls and moving on. 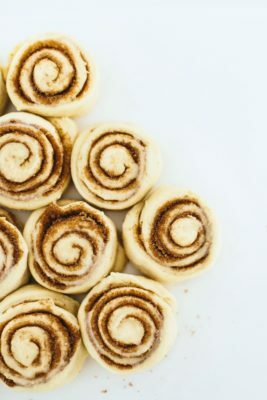 I find their interest in that space constantly ebbs and flows, and the days I’m in a hurry and don’t need help are the days they seem to want to offer it, and the occasions I’m dying to bake with them and teach them new things, well, those are the days they’d rather be doing anything else. Every once in awhile we land on the same page. My daughter is more eager than my son; he wants to sneak cookie dough, she wants to shape and bake cookies. I’ve watched her come a long way in the kitchen, and enjoy the moments when we make something together. I’ve discovered that while she’s come a long way, I, however, still have some needed areas of growth. Basically, I can be a control freak. I find myself hovering and managing. I want to pre-measure the ingredients, and find the right bowl. I don’t fully trust her to dip and sweep or mix things fully. She is well aware of my tight grip while sweetly encouraging me to step back and let her try. She is sure of her abilities, and isn’t worried when she’s lacking. This is the hardest part of parenting for me: watching your child get to a place you’ve been training them for, and then having to let go, trusting they can do whatever it is you’ve been preparing them to do. I’ve spent so much time nurturing and caring and equipping, that when my child is finally ready, I want to keep tagging along to micromanage any mishaps, not fully confident in her abilities. We did have a lot of fun together, making this cake. My kids could have gobbled up the crème fraîche layers plain (I could have as well), but the berries and white chocolate buttercream take this to the next level. and it is currently my favorite way to make it. I used Vermont Creamery crème fraîche. You may have a little bit of roasted fruit left over, but this would taste delicious spooned over ice cream or yogurt. 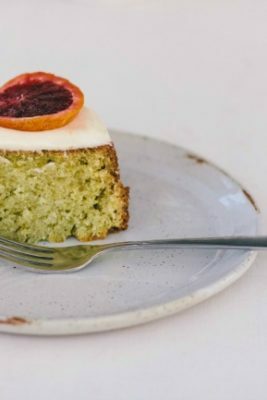 Don’t put the extra fruit in-between the layers; the cake is too tender for all of that fruit, and it will slide around. Adjust an oven rack to the middle position. Preheat the oven to 350F. Butter and flour three 8in x 2-inch round cake pans and line the bottoms with parchment paper. In a medium bowl or liquid measuring cup, whisk the milk, crème fraîche, egg whites, and vanilla. In the bowl of a stand mixer fitted with a paddle, mix the flour, sugar, baking powder, and salt until combined. With the mixer running on low, add the butter one piece at a time, beating until the mixture resembles coarse sand. With the mixer still running on low, slowly add half the wet ingredients. Increase the speed to medium and beat until the ingredients are incorporated (about 30 seconds). With the mixer running on low, add the rest of the wet ingredients, mixing until just combined. Increase the speed to medium and beat for 20 seconds. Scrape down the sides and bottom of the bowl, and use a spatula to mix the batter a few more times. Divide the batter between the prepared cake pans and smooth the tops. Tap the pans gently on the counter two times each to help get rid of any bubbles. Bake for 17-22 minutes, rotating the pans halfway through, until the cakes are golden-brown and pull slightly away from the sides and a wooden skewer inserted into the centre comes out with a faint bit of crumb. Transfer to a wire rack and let cool for 30 minutes. Turn the cakes out onto the rack, remove the parchment paper, and allow to cool. Adjust an oven rack to the middle position, and preheat the oven to 400F. Place all the fruit in a roasting pan (a glass pan will work, too). Toss with the sugar, salt, and lemon juice. Bake for 15-20 minutes, until the fruit is soft and has released a lot of liquid, stirring occasionally (you want the strawberries soft enough to smash with a wooden spoon). Take the pan out of the oven and gently smash the fruit (especially the strawberries) into bite-sized pieces. Add the butter and stir until melted and combined. In a small bowl, sprinkle the gelatin over the water and let stand until softened, about 5 minutes. When ready, add to the warm fruit and stir until combined. Cover the fruit and let cool to room temperature, then chill in the refrigerator until ready to use. Put about 1-inch of water in a medium saucepan and bring it to a gentle boil. Melt the white chocolate in a heatproof bowl set over the pan of boiling water, being careful not to let the water touch the bottom of the bowl. Stir constantly until just melted and set aside to cool slightly. In the bowl of a stand mixer fitted with a paddle, beat the butter on medium until light yellow and fluffy (about three minutes). Add the vanilla, corn syrup and salt, and mix on medium until combined. Turn the mixer to low and gradually add the sugar. Beat on medium until smooth and creamy, stopping to scrape down the sides of the bowl as necessary (2-3 minutes). Add the white chocolate and beat on low until combined. 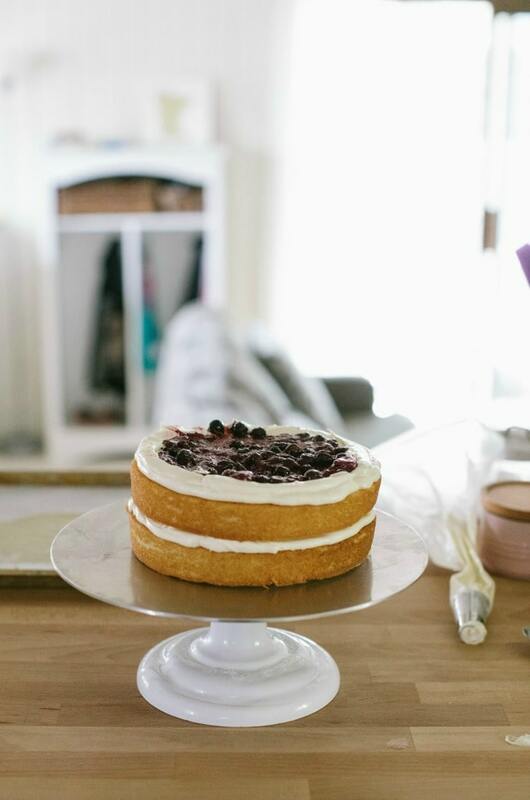 Place one cake layer on a turntable or serving plate. With an offset spatula, spread the top with a third of the buttercream. Top with 1/3 cup of the roasted, cooled fruit and spread it evenly over the surface. Place the second cake layer on top and frost with a third of buttercream and another 1/3 cup of fruit. Place the final layer on top and evenly coat the cake with the remaining buttercream. Decorate as desired. Here I am entering to win the Le Creuset 5 piece utensil set. Also, that Creme Fraiche cake looks incredible! This is such a beautiful cake! That buttercream looks absolutely amazing! Can’t wait to try it! Love your blog! And your recipes! I am following Le Creuset on Instagram (@tosticake). I love that your daughter is so confident in her abilities. That achievement is even more lovely than the beautiful cake! 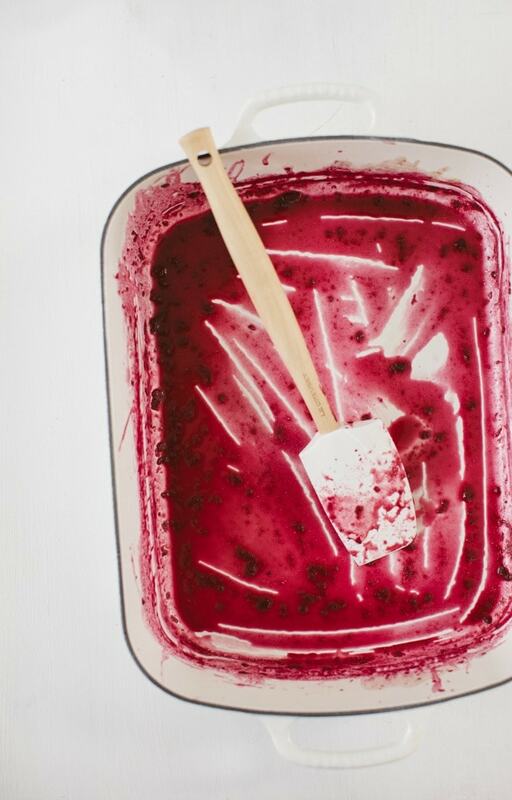 As the fridge is broken, this is a great way to use berries before they go bad. I’ll be making this cake, creme fraiche and all! I love all you do, Sarah! I think I found a recipe to try this weekend! It looks gorgeous! Gorgeous cake, must try. I am entering the le cresuet competition too !!! Always dreamed of owning one of their products. Wow. Now I need to make this. Anxious to try roasting fruit! Now that we have moved to WI, I have my mom to bake with me! I can’t wait to try this With my mom!! If I win the set, send me a sample and f that cake too! Lol! Kidding, not kidding. Thanks for always sharing your wonderful desserts ?? well this is just summer on a stick ~ what a beautiful cake and hurray for anything Le Creuset! This looks stunning! Cannot wait to try it! This cake looks so beautiful. 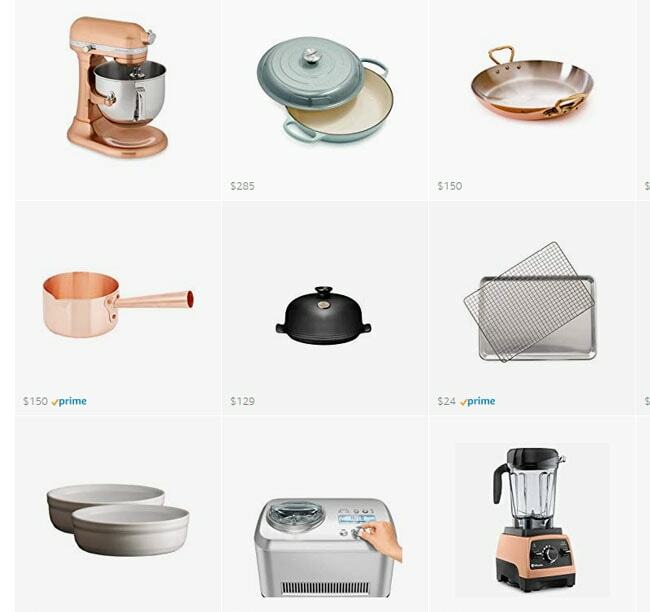 I love Le Creuset anyething so I’m sure these utensils are amazing! This cake is gorgeous and sounds delicious! 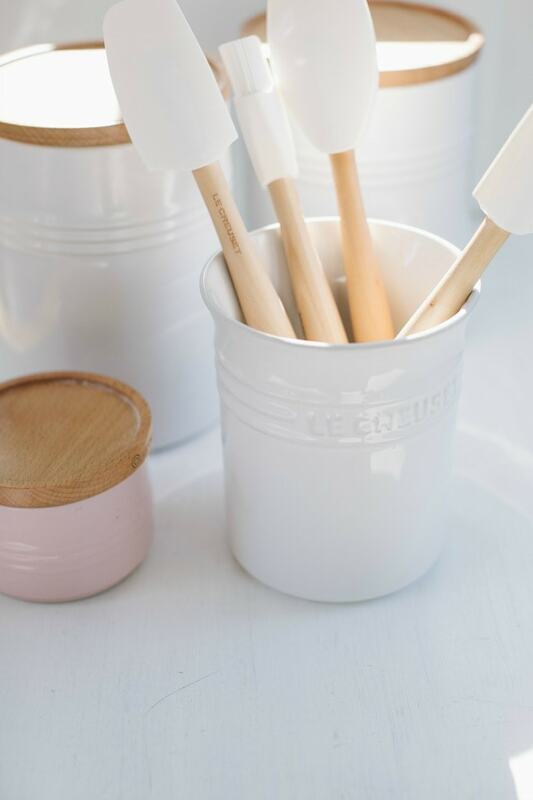 Would love to win the Le Creuset set … the utensils are beautiful in white. They’d match perfectly in my kitchen and would be put to good use! Thanks for sharing this wonderful recipe! I can imagine the creme fraiche offers a tender crumb, and sounds divine with roasted fruit. Drooling just thinking about it! My daughter doesn’t like chocolate, but I bet I could convince her to like white chocolate with this cake! 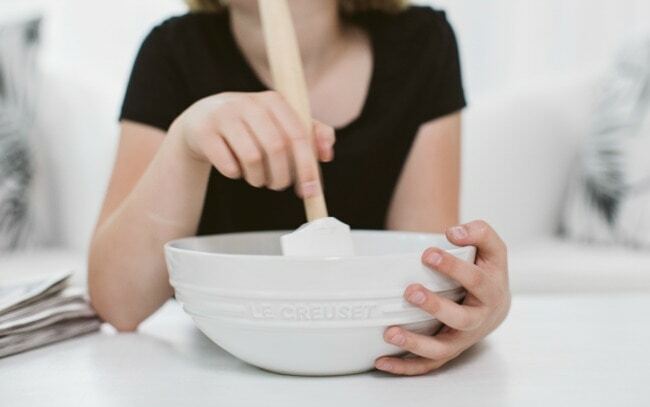 I want to share my love of baking with my daughter, but am a bit fastidious in the kitchen, so it can definitely be challenging for us to work together. That looks delicious! And I love Le Creuset. I was going to bake a pie this week but now I need to make this! I want that cake. It looks heavenly. Love your musings on parenting and letting go, Sarah! Also, that cake looks damn delicious. This is so GORGEOUS!!! I can’t wait to make it! These look like well made tools ? Beautiful cake. Can’t wait to try the recipe! Loving this cake (and everything you make, Sarah!). Cannot wait to try this! I love this story, Sarah. And this cake is ridic. How wonderful! Great inspiration for my Friday cake making! This is beautiful! Can’t wait to make it!!! I love using crème fraîche in desserts, so I’ll definitely give this one a try! Just made roasted berry scones the other day, they were delightful. i love the roasted fruit idea! would like to try it as a shortcake. Your post hit close to home with me – my youngest just left on a 6 month mission trip to Mexico, and the other 2 are living full lives farther away from me than I’d like. But they are doing just what you said, and so am I – having to let them go and do what we’ve taught them, and trust in their sure abilities. It’s all good! That spatula set is very tempting, as is that cake! This cake looks so good! Haven’t started baking with my son yet (he’s 2), but maybe soon. 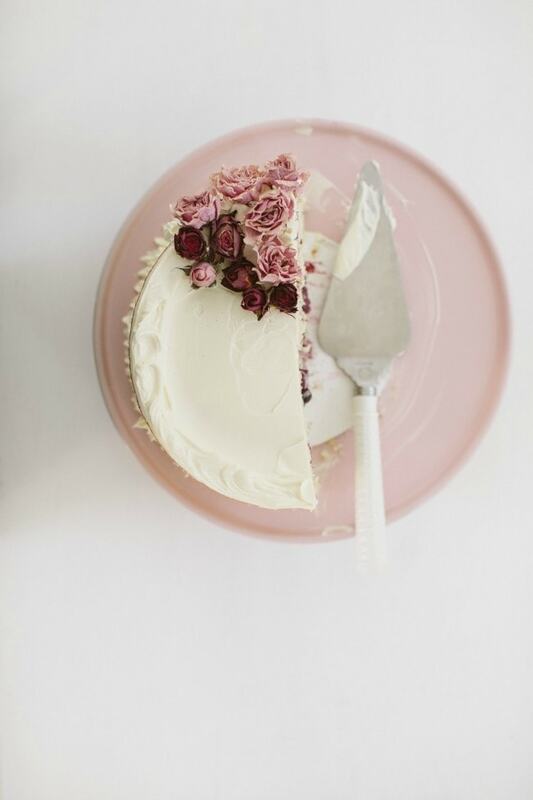 This cake looks lovely and I would love to make it using the white Le Creuset tools! 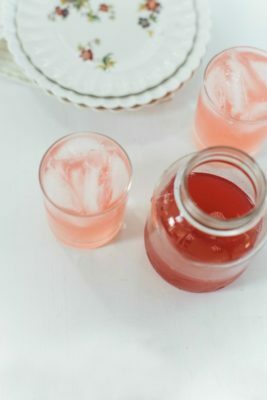 This looks delicious, and perfect for a summer party! Love the idea of roasted fruit, and of course the utensils! The cake looks so pretty! So does the Le Creuset set! Can’t wait to make this gorgeous cake!! LOVE!! This looks so delicious, I’m almost drooling. I can’t wait to try to make it! This cake would be perfect for my boyfriend’s birthday that’s coming up. Looks delicious! I love the roses on top! I never thought to roast fruit…sounds delicious. 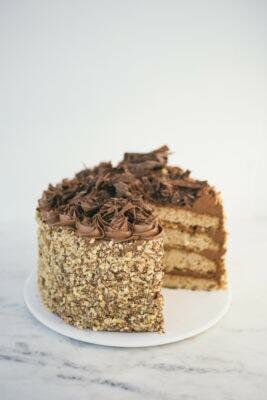 This cake is on my summer baking list! That cake looks beautiful! I love all the photos. Also, thank you for the wonderful giveaway! Your cake looks amazing, I normally reach for chocolate cake but this is a heck of a display! I follow Le Creuset on Instagram with the handle @firerunner2379. Love the style of this cake for Mother’s Day or another similar occasion! Those roasted berries – yum!! This looks like the cake my friend made for my last bday. I have made three of your recipes from the cookbook this past weekend. Always with the intent of taking it in to my coworkers, as my husband and I shouldn’t be eating three desserts in a weekend, but we end up eating it all anyways. I am loving everything I have made! Wow this looks amazing! I would probably be the same way if I had a daughter, hah! 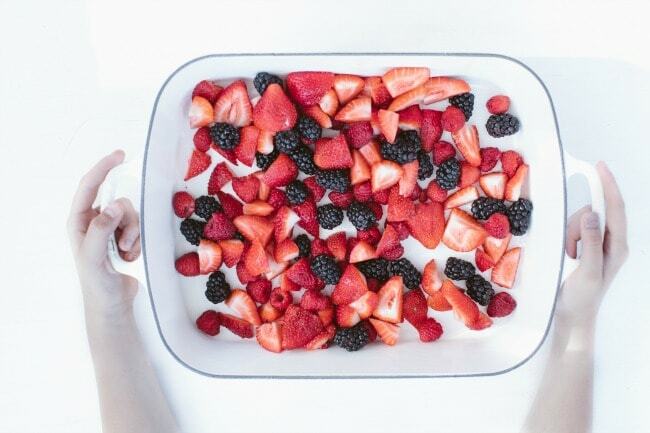 Isn’t it so great that it summer so we can have all the fresh berries to bake with? Our tree just started pouring (literally) plums this week. I’m excited to bake with them! Thus looks delicious! Can’t wait to try making it. Le Creuset is my favorite! I love your blog and receipes and your photos are amazing. Thank you for sharing your pictures. That cake looks delicious!! Love the idea of using the roses on top. 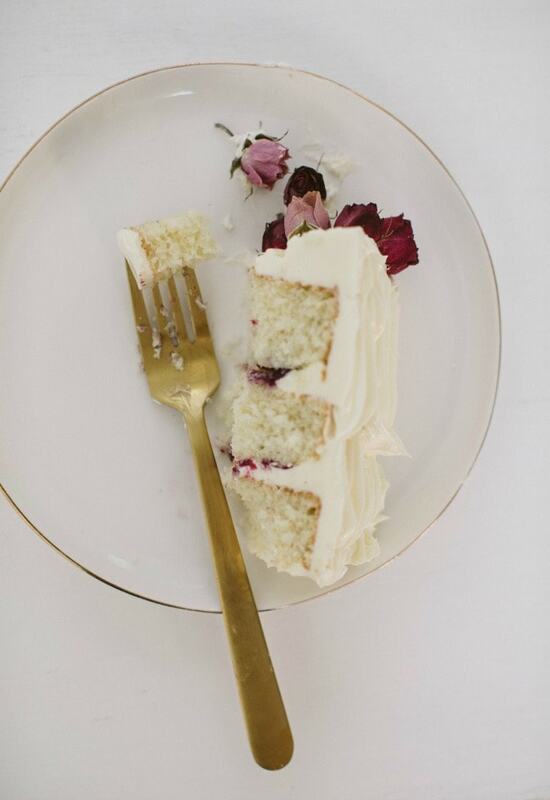 This looks so yummy- I’ve never had white chocolate buttercream before! I love cakes that look not only delicious but also beautiful. My husband always says we start eating with our eyes! ?? What a gorgeous cake and set! Would love to use these utensils for chocolate making!! creme fraiche literally makes everything better! I am making this cake today. it looks amazing. Would love to have le creuset spatulas in my kitchen. I am really intrigued by creme fraiche in a cake! Can’t wait to try it! Also, I followed on instagram. That cake looks decadent! It’s wonderful getting to see the process photos along the way to the final product! Gorgeous cake and awesome giveaway! Putting roasted fruit in between cake layers is simply brilliant! I love this! I will have to try this one! Hopefully with some le creuset goodies to help ? 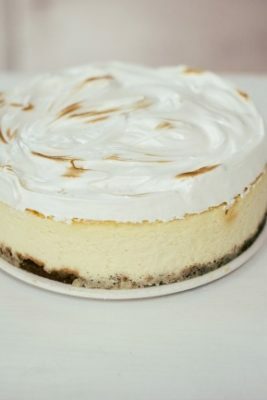 This cake sounds and looks amazing! Can’t wait to try it! This cake looks divine! I am absolutely making it for my birthday next month. Following you and le creuset on IG @coletteruby! Your desserts look so amazing. Your photo are so beautiful. I’ve never thought of roasted fruit before! This is a beautiful thing! Thank you for the recipe! Cake looks delicious! I plan on making one if I win the giveaway! I think I may make this tonight!! That looks amazing! I can’t wait to try that! I wish I can bake this good! This cake looks very delicious! Looks yummy, will have to try this recipe soon !! This cake its so so cute. The flowers are also such a sweet little touch!! Yahooooo for Le creuset, gotta love it! That cake looks delicious! Love your notes on parenting, too. I have some creme fraiche I made a few days ago and don’t want it to go to waste, so when I saw Creme Fraiche Cake, I was inspired. I have some homemade jam I think I will use in lieu of the roasted fruit although that does sound wonderful. Thank you, and hats off to Le Creuset as well, I love their products, very high quality. Your cake is beautiful! Thanks for throwing my name in the hat! Love those utensils. Follow LeCreuset on instagram @rusthawk1. I never seem to have enough spatulas around during my baking and I’ve so been eyeing the Le Creuset crock. Love the “vanilla” color ? That looks delicious! Le creuset seems to make everything in the kitchen better! This is the prettiest thing I’ve seen all week. It might even sway us to like white chocolate finally! Cheers. Guittard or Vahlrona make actual real, not too sweet white chocolate. I swore I would never bake with white chocolate, these products changed my mind! Good tools are the best! ?? the roasted fruit! Gorgeous Cake, never had roasted fruit on a delicate cake, I’m definately going to have to try this. Beautiful blog and fabulous Le Creuset products! Can’t wait to try the recipe! 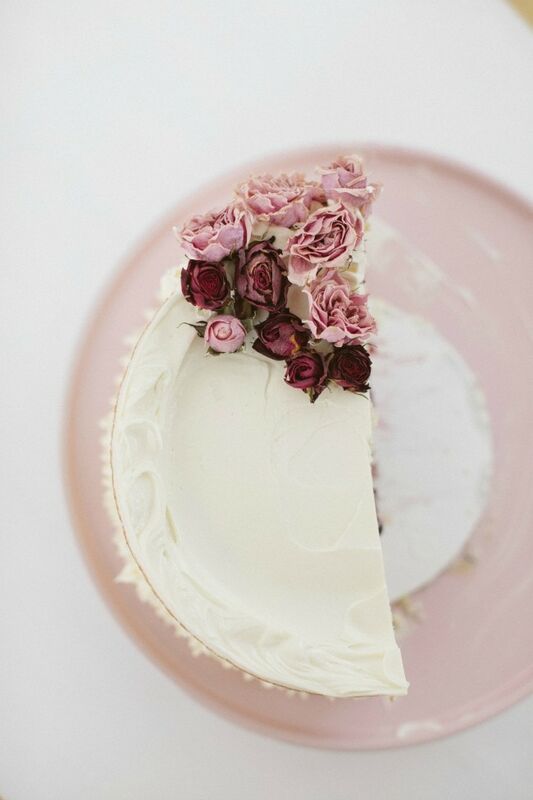 Beautiful cake and photography. Have fun with those little ones in the kitchen! Oh my goodness, is that one of the most beautiful cakes I’ve ever seen! This looks so delicious. All of my favorites assembled beautifully in a delicate, delectable dessert. Omg looks divine! And for sure it tastes amazing! Would love to try baking. Le Creuset tools should help since I don’t have much baking supplies as a newbie baker. That cake has me drooling! I’ll be trying it for Fathers Day, but minus the raspberries since both Pops and I are allergic. Love the look of this cake! Yum! Excited to try out their utensils. So beautiful! Can’t wait to try this recipe! Isn’t it great finding tools that actually work well? 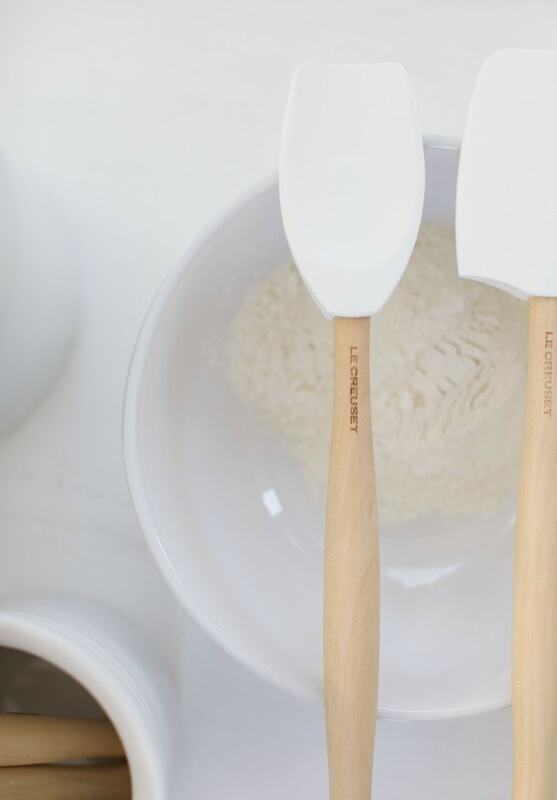 Love your blog, your stories and the beautiful and inspirational baking and learning about new kitchen tools. I wish I could bake cakes that looked that nice! I’d love to win! Your cake looks beautiful and yummy! I’ve been just consumed with the cookbook that I’ve stepped back from the blog. Catching up now and wanting to make all of the things! My god that sounds good! I wish I could get one from you. I don’t think mine would turn out. Guess I’ll stick to more basic things. ? Love the recipe and le creuset. This recipe looks lovely! 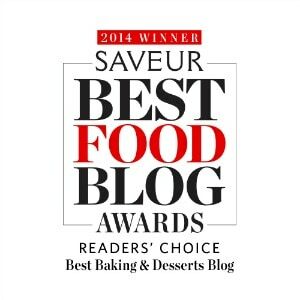 Love your recipes, your book (have made many recipes out of it), your blog… you’re fantastic! 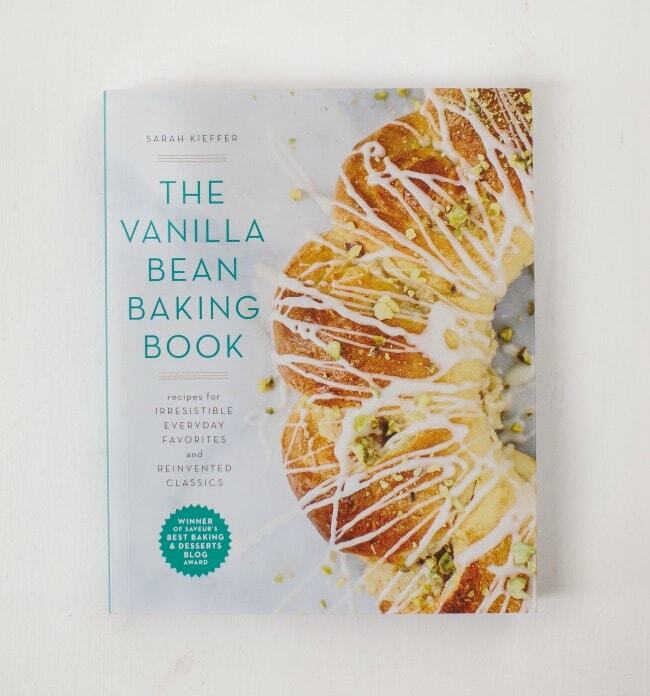 Thank you for continuing to inspire bakers everywhere! Am I too late? Cake looks amazing! Beautiful pics and this looks delicious!! Followed Le Creuset on Instagram. I hate it when spatulas aren’t truly made for scraping!!! Its always such an exciting score when you find one that does a good job of this!! The flavors in this cake sound completely amazing. I LOVE creme fraiche and every buttercream of yours that I have made are the perfect balance of silky smooth creaminess without being cloyingly sweet. YUM! Le Crueset is my FAV! And I can’t wait to try this cake recipe. What a great idea to use creme fraiche! 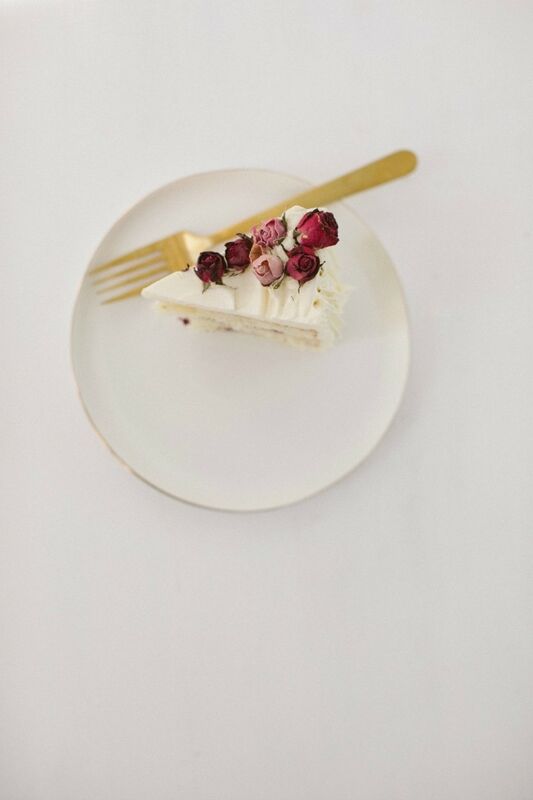 I love everything about this cake – creme fraiche, roasted berries and white chocolate – perfection! I will be making this for our 4th of July dessert… Thank you! 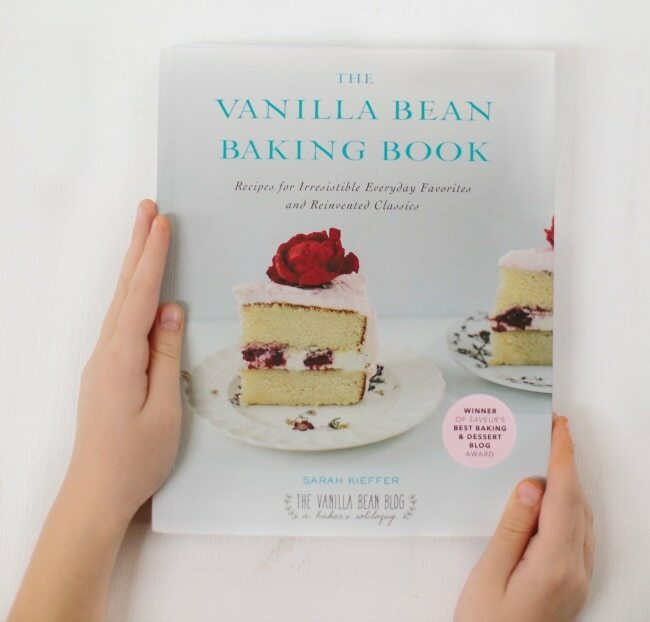 Love your cookbook, this cake is gorgeous and I need to make it immediately… and hopefully again in 2 weeks with le crueset set! This cake looks so good. I adore anything with berries and creme fraiche! Looks so delicious! Great job! I love the combination of berries and white chocolate! Do you think this cake would pair well with a lemon curd filling and rosewater buttercream, or would it most likely be too tart? Thanks! This looks perfect for summer. So beautiful! Love creme fraiche in baked goods (especially Vermont Creamery 🙂 ) Just purchased a Le Creuset Zen teapot…Love! I have soooo many left-over egg whites. I also made your creme fraiche recipe over the weekend, so yummy. I was just wondering how many grams of egg whites would you roughly say I need? I have a scale and measure all my ingredients.